For years, low-carb diets have been all the rage. One of these diets, the ketogenic diet plan, is particularly popular. And while following a ketogenic diet plan could provide many health benefits, it’s important to do some research before you jump in with both feet. Here’s some information that will help ensure you make the best possible choice for your exact weight loss goals. In a nutshell, a low-carbohydrate ketogenic diet is designed to make your body burn fat instead of carbs. 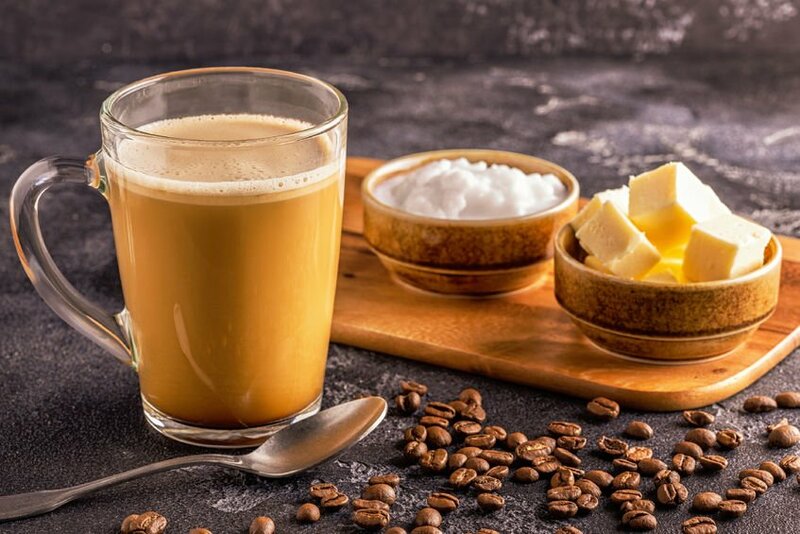 The keto diet involves eating a lot of high-fat foods. People who follow the plan also eat protein-rich foods in moderation. Most of us consume a lot of carbohydrates on a regular basis. Your body uses carbs for energy by turning them into glucose. It then produces insulin in order to move the glucose into the blood. But when you follow the ketogenic diet, which is very low-carb, your body has to burn something else for energy. When this happens, the body goes into a state known as ketosis. Ketosis is basically a process where your body uses fat for its energy source, instead of carbs. Your liver turns fatty acids into molecules known as ketones. These ketones then provide the energy your body needs. There is evidence that suggests ketosis may help people with metabolic and cardiovascular issues. Ketosis itself is generally not harmful.2 However, if a condition known as ketoacidosis develops, that can be dangerous. This happens when your body produces too many ketones. Ketosis is a normal biological process in your body. If you follow the keto diet properly, ketosis shouldn’t cause any health issues.4 However, because ketoacidosis is a real health issue, if you want to adopt a ketogenic diet, you should talk to your doctor about it, to make sure the change in diet won’t have a negative impact on your health. Many people considering a weight loss plan assume that a low-carb diet is the same as the ketogenic diet. There are similarities, of course, but there are also some major differences. You might cut down on carbs following another diet plan, but that doesn’t guarantee your body will go into ketosis. The reason is that you’ll be taking in too many carbs. There is no “one size fits all” kind of diet. Everybody is different and has different needs. 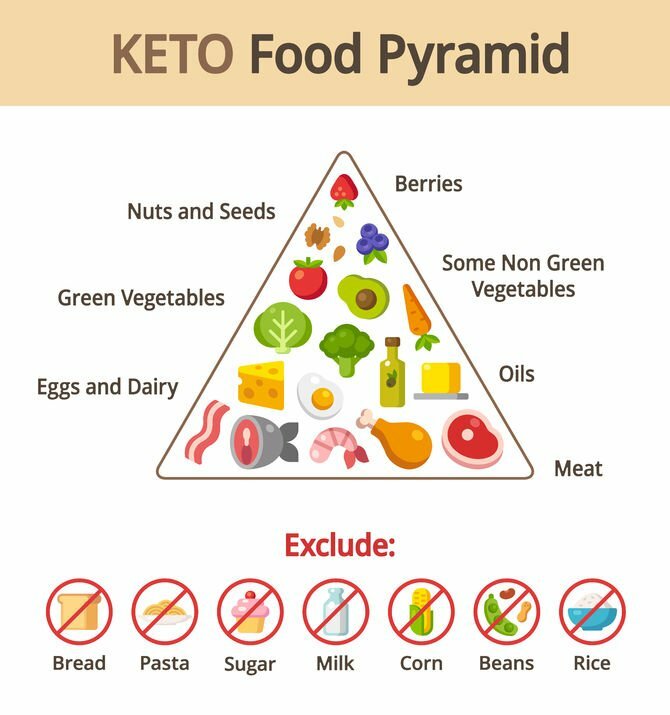 In general, though, people following the keto diet will typically get the vast majority of calories (usually about 80 percent) from fat. To convert from pounds to kilograms (kg), take your weight and divide by 2.2. For example, someone who weighs 200 pounds weighs a little more than 90 kg. 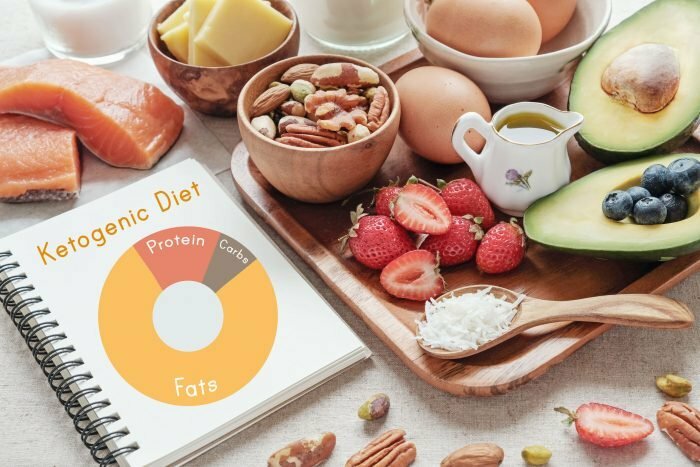 What Kinds of Fats Will You Be Eating on a Keto Diet? The most important priority when following the keto diet will be the types of fats you consume. You’ll need to focus on foods that contain polyunsaturated, saturated, and monounsaturated fats. And, as always, you’ll need to avoid trans fats whenever possible. You need polyunsaturated fats in order for your body to perform many important functions, such as blood clotting. They’re typically found in oils such as safflower oil, corn oil, and sunflower oil. They help to reduce LDL cholesterol, as well as help lower blood pressure. Foods you should avoid include whole grains, and breads that are high in carbohydrates. You should also avoid most kinds of beans and legumes, especially black beans, kidney beans, and green peas. Stay away from starches, such as carrots and potatoes. What Are the Health Benefits and Drawbacks? Remember: It’s important to speak with your doctor before beginning any kind of diet, including the keto diet. These side effects are typically the result of your body and your brain adjusting to the lack of carbohydrates. The side effects should subside once your body adapts. One of the ways you can minimize these effects would be to make sure you drink plenty of water. Taking supplements, such as potassium, magnesium, and sodium, will help ensure you have an ample supply of these vital minerals. If you’re having a particularly hard time adjusting, try adding back in a few more carbohydrates to your diet – take things slowly. It’s always important to get enough exercise, no matter what you’re eating. But if you’re considering a keto diet weight loss program, you might be concerned about how much you’ll be able to work out. Will you have enough energy to push through and finish that extra mile on the treadmill? Eating out on the keto diet is actually pretty easy. It’s all about substituting. For example, you can have a fish- or meat-based meal, and then order extra low-carb vegetables as a side instead of, say, a baked potato or mashed potatoes. If you want a burger, order it without the bun. Or, you could keep the bun and order a low-carb vegetable instead of fries. If you like to eat Mexican food, add extra sour cream, guacamole, and cheese to whatever type of meat dish you order. The only real challenge will be when it comes to dessert. Stay away from dessert staples, such as ice cream, cookies, and cake. 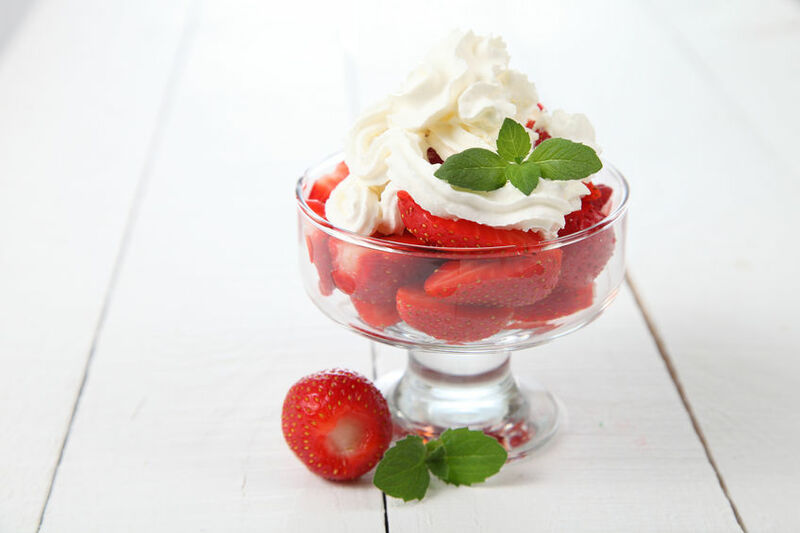 Opt for fresh strawberries and cream instead. There are advantages and disadvantages with this weight loss program, just as there are with all other diets. The keto diet isn’t a whole lot different from other diets – you must stick to it to reap the potential benefits. While you might see significant weight loss in the short term, it won’t be sustainable if you don’t stay with the plan. Again, every person is different. A diet that works great for you might not work as well for someone else, and vice versa. 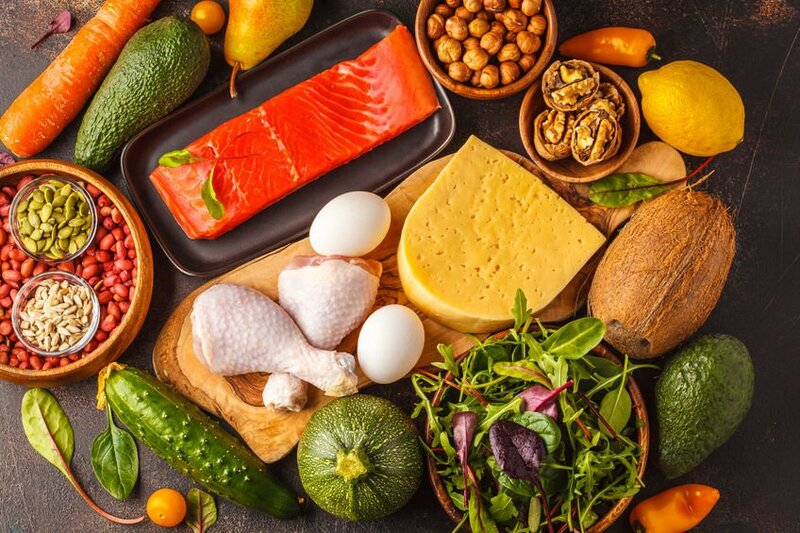 Once you get the green light from your doctor to try it, the keto diet might help you lose the weight. Counting Calories: Are Calories All That Important in Weight Loss?